The port of Lolowai on Ambae was on the morning of Monday 2 October already busy with more evacuees getting ready to board the ships. Only 4 days left before the deadline issued by the Council of Ministers for all to leave the island of Ambae. Vanuatu Red Cross met Lesline Tari, a 30 year old from Navonda village with her baby who is 8 months old, sleeping peacefully on her worried mother’s shoulder. Lesline is married to Ezikiel Tari and they have 2 other children Rensly aged 14 and Edriano who is 8 years old. 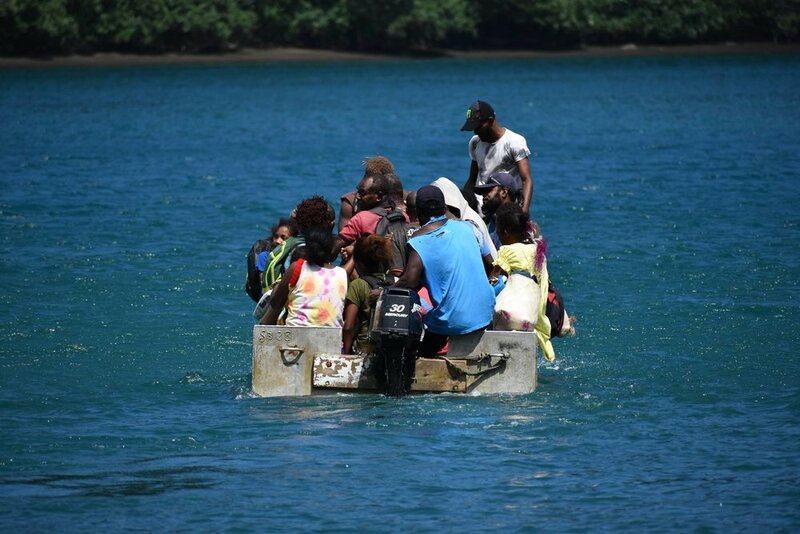 Vanuatu Red Cross asked Lesline where they will be heading to. She says that all she knows is they are going to Santo. Asked how she is feeling about their new destination and Lesline explained that she has many worries going through her mind. She is worried about the belongings they are leaving behind. They make their living through subsistence farming in their home village of Navonda and in Santo they will not have land in which to make their living on. She says when you are forced to travel to an unknown future with your family, as a mother this is quite stressful to cope with not knowing what this will all mean for your children. Her greatest fear now is she does not know how they will survive in their new settlement. Many people in Ambae, like the rest of Vanuatu are not paid workers. Instead they make their living off the land they own. Their children are like their retirement pension and insurance for when they become old and need to be cared for. So land and children is the only existing welfare system these people have. Take away the land and the children’s futures, and then you are taking away a family’s security.